Whether you're making a one-off trip to London or you're a regular visitor, using an Oyster travel smartcard is the easiest way to travel around the city's public transport network. Oyster cards are electronic smartcards that are used to pay for public transport in London. Visitor Oyster cards, Oyster cards and contactless payment cards are the cheapest way to travel in London. To use an Oyster card, touch the card on the yellow reader at the gates as you enter and end your journey. You don’t need to touch out at the end of your journey on buses and trams. 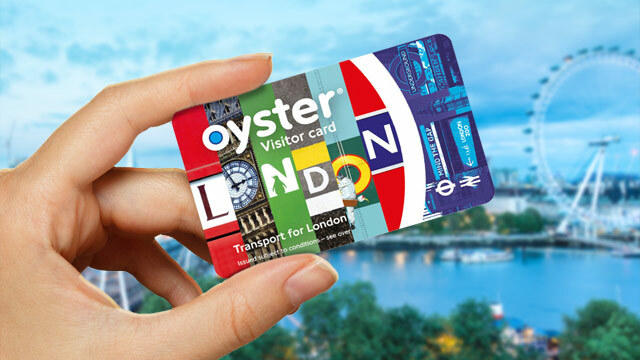 You can buy a Visitor Oyster card online before you arrive in London, or Oyster cards at TfL Visitor Centres, stations and Oyster ticket shops. 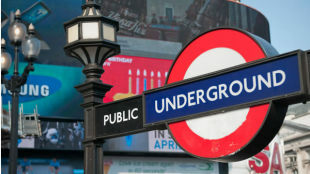 Visitor Oyster cards and Oyster cards are electronic smartcards that come fully charged with credit which you can spend as you travel on the Tube, buses, DLR, MBNA Thames Clippers river bus service, London Overground and most National Rail services in London. How do I use Oyster, Visitor Oyster, contactless and travelcards? It's easy to use a Visitor Oyster card, Oyster card or contactless payment card. Simply touch the card on the yellow card reader at the gates when you start and end your journey. This will ensure you pay the correct fare. If you don't, you may get charged a penalty fare. If you need help, ask a member of station staff. You only need to touch the yellow card reader at the start of your journey on buses and trams. 1-Day Travelcards are paper tickets that can be used at the gates in Tube, DLR, London Overground or National Rail Stations, or shown on buses, and tram services. Travelcards are not valid on riverboat services, but MBNA Thames Clippers River Bus and most river tour companies offer a one third discount on production of a valid Travelcard. Why should I buy a Visitor Oyster card? Enjoy special offers and promotions at leading London restaurants, shops and entertainment venues – plus discounts on the Emirates Air Line cable car. Where do I buy a Visitor Oyster card? 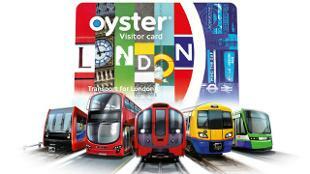 Buy a Visitor Oyster card before you visit London and get it delivered to your home address. A card costs £5 (non-refundable) plus postage. You can choose how much credit to add to your card. If you are visiting London for two days, we recommend you start with £20 credit. Order online and arrive ready to go! You can also buy a Visitor Oyster card from Gatwick Express ticket offices at Gatwick Airport Station and on board Eurostar trains travelling to London. Alternatively, you can use a contactless payment card to pay for your travel around London. Can I buy a visitor Oyster card in my own currency? You can, if you prefer, pay for your Visitor Oyster card using a different currency. The VisitBritain Shop is available in a number of different languages and currencies – use the flag icons in the middle of the page to select by country. How do I add credit to my Visitor Oyster card? 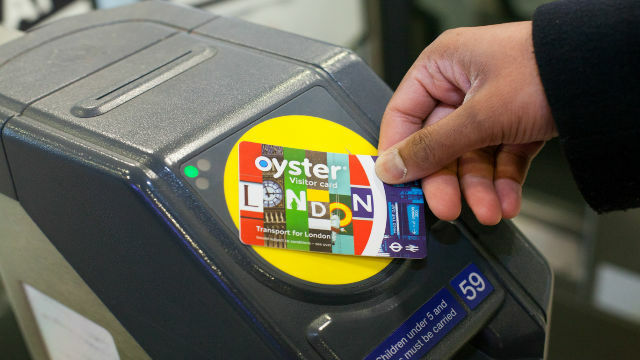 What is the difference between Oyster and Visitor Oyster cards? Oyster cards work in the same way as Visitor Oyster cards but do not include special offers and promotions. Oyster cards cost £5 (refundable) and can also be loaded with credit. Visitor Oyster cards can be purchased by non-UK residents before they travel. Where do I buy an Oyster card? If you live in the UK, you can buy an Oyster card and have this delivered to your home address before you travel to London. If you do not live in the UK, either buy a Visitor Oyster card before you leave home, or buy an Oyster card once you arrive in London at TfL Visitor Centres, stations, Oyster ticket stops and The Tramlink Shop in Croydon. How do I add credit to my Oyster card? You can top up your Oyster card in the same places as a Visitor Oyster card (listed above). Alternatively, download the TfL Oyster app to top up your pay-as-you-go credit and buy adult-rate 7 Day, Monthly and Annual Travelcards on the go. You can also use a contactless payment card to pay for your travel around London. What is the difference between Oyster and travelcards? A 1-Day Travelcard is a paper ticket which allows you to travel as much as you like, as often as you like, for a single day. You can use it on the bus, Tube, DLR, tram, London Overground and most National Rail services within London. Travelcards are not valid on riverboat services. However, MBNA Thames Clippers River Bus and most river tour companies offer a 30% discount on production of a valid Travelcard. You can also get a 25% discount on fares for the Emirates Air Line cable car. You can use Anytime Day Travelcards at any time on the day of validity any day of the week for any journey until 04:30 the following day. Alternatively, the Anytime Day Off-Peak Travelcard lets you travel from 9:30 Monday to Friday and all day Saturday and Sunday. If you want to buy a 7 Day Travelcard, this ticket is only available on an Oyster card, not as a paper ticket. This means you will need to buy an Oyster card and get a 7 Day Travelcard loaded onto it. If you live in the UK, you can buy an Oyster card before you arrive in London. If you do not live in the UK, you can only buy an Oyster card when you arrive in London. What is the difference between Oyster and contactless? Contactless payment cards are debit, credit or pre-paid cards which can be used to make quick, easy and secure payments for everyday purchases of £30 or less. You do not need to use a PIN or a signature. If you are using a contactless payment card to travel in London, touch the card on the yellow card reader in the same way as Visitor Oyster cards and Oyster cards at the start and end of your journey. If you use the same card for all your journeys your fares will be automatically capped daily and weekly (Monday to Sunday) so that you always pay the cheapest fare. Pay-as-you-go capping also applies when using Oyster or Visitor Oyster card to pay – find out more about pay-as-you-go capping. For contactless payment cards issued outside the UK, check for any transaction fees or bank charges that may apply. Find out more about contactless card payments. How do I choose which ticket to buy? Deciding which ticket to buy – a Visitor Oyster card, Oyster card or Travelcard – depends on how long you're staying in London and how frequently you'll be using public transport. If you plan to make two to four journeys a day for a couple of days, or if you want to travel to the outskirts of the city, then a Visitor Oyster card, Oyster card or contactless payment card will be your cheapest options. If you are visiting London for a week or more, and plan to use only the Central London area (e.g. zones 1 to 2 or zones 1 to 4) to make four or more journeys per day on a daily basis, then a 7 Day Travelcard may be the most cost-effective option. 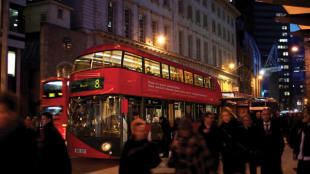 If you are coming to London in a group of 10 or more people, you can buy a Group Day Travelcard. For more information, visit the TfL website. Show your Visitor Oyster card at museums, theatres, restaurants, bars and more to receive exclusive discounts and complimentary food and drinks. Download the Visitor Oyster Card Special Offers Booklet to discover all participating venues. Travel discounts and concessions are available, including kids who travel free in London. Check the TfL sit for more about adult discounts and concessions or student and child discounts and concessions. London's public transport network is divided up into nine travel zones. 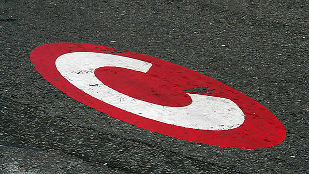 Zone 1 is in Central London and zones 6 to 9 are on the outskirts of the city. 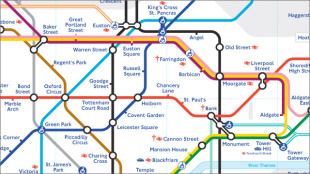 You can download a Tube map from our selection of Free London Travel Maps. Visitor Oyster cards and Oyster cards can also be used on the London Overground network, which is make up of six orbital lines mainly operating in London's outskirts. Travel ticket prices vary depending on the transport service you use, the zone(s) you travel in, the day you travel and the time you travel. Peak travel is between 6:30am to 9.30am and 4.30pm to 7pm, Monday to Friday. Travel is more expensive during these hours than it is during off-peak travel times (all other times, including bank holidays). The cost of your journey will depend on how you travel, which day you travel, what time of day you travel and which zones you travel through. 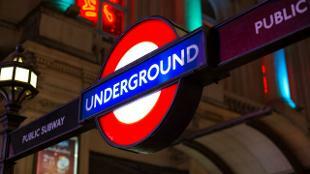 Visit the TfL website for more information on fares. More questions about Visitor Oyster and Oyster cards? Still not sure which travel ticket you need to buy? Unclear on how to use your Visitor Oyster card? Read our Oyster FAQs pages for the answer to these and other Oyster-related questions.